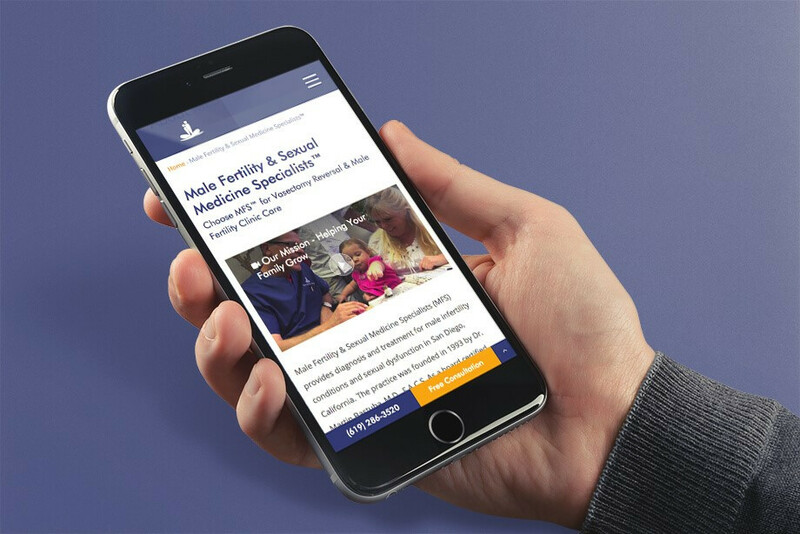 Welcome to the newly redesigned Male Fertility and Sexual Medicine Specialists (MFS) website! Dr. Bastuba and the entire team of providers and staff here at MFS are so excited to welcome patients to our new site, which is now entirely responsive to fit on all devices – including mobile – where an increasing number of our patients first find our practice. We realize that those in need of male fertility care are no longer limited to their home device when searching for a specialist, and we wanted to create an environment that was easily accessed from any medium. The upgraded MFS website features a comprehensive review of topics that are the most relevant to the fertility community, including male infertility diagnosis and treatment, vasectomy reversal, sperm disorders: low sperm count or no sperm count, male sexual dysfunction and more. We consider every patient an individual with specific needs for family planning, and we are committed to providing patients with the right resources so they can make important health decisions with confidence and security. In addition to educational male fertility resources, our website features an all-encompassing blog that covers a range of fertility-specific issues such as partner support, genetic testing, male representation in the fertility community, fertility myths and facts, questions to ask your fertility specialist and more. We encourage those exploring our new website to visit our blog and catch up on the latest male fertility news. By offering an upgraded patient experience Male Fertility Specialists demonstrates that we truly understand the perspective of fertility patients and their partners, whether they are trying to build their family or return to quality sexual health. Our experienced, compassionate team has been helping male fertility patients since 1993, with Dr. Bastuba having performed over 5,000 microsurgeries that have helped countless male patients. Our approach begins with an accurate analysis that forms an individualized treatment plan at an affordable price. We encourage new and returning visitors to explore our website and let us know what you think about our improved design, either by commenting below or visiting us on Facebook.